The Intel® Xeon® processor E5-2600 v2 product family is at the heart of an agile and efficient data center that meets your diverse needs. These engineering marvels are designed to deliver the best combination of performance, energy efficiency, integrated workload optimizations, and cost-effectiveness. Whether you are improving agility through virtualization, running cloud-based services, or running high performance computing applications such as design automation and real-time financial transactions, you'll be delighted by better-than-ever performance and energy efficiency. New virtualizatyion and security features work together to deliver a more trusted compute environment. You will be able to harness big data and deliver new services with deeper insights, enabled by Intel® Integrated I/O, which helps you to eliminate data bottlenecks across the platform. 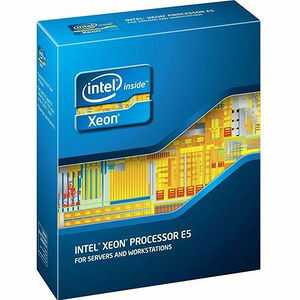 The Intel® Xeon® processor E5-2600 v2 product family-versatile processors at the heart of today's data center.